The warm seasonal weather brings more motorcyclists out to enjoy a ride. 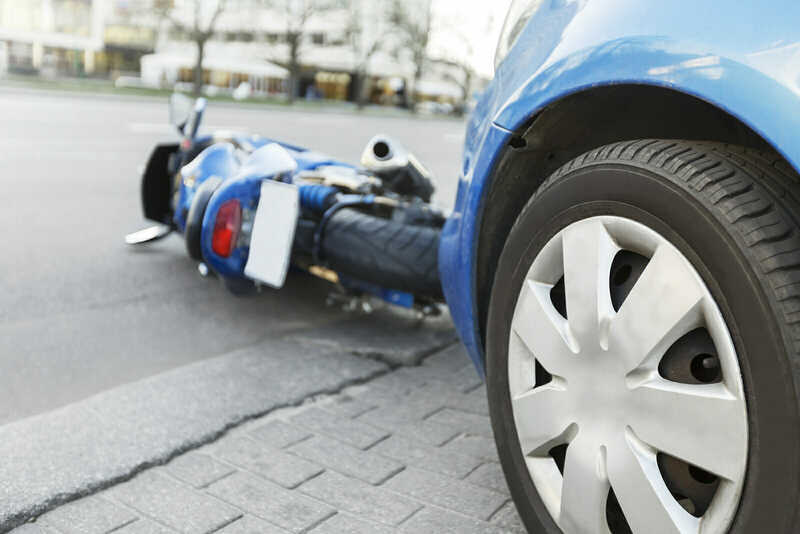 Motorcycle collisions with automobiles can often be devastating to the motorcyclist while the other vehicle involved may not suffer much damage. According to the federal government, it is estimated that, for every mile traveled, the number of deaths on motorcycles was over 27 times the number in cars. The general rule of thumb is to be at least 3 seconds behind another vehicle on the road; however, if you are behind a motorcyclist, increase that distant to 4 or 5 seconds. In bad weather, all vehicles may have a hard time on the road. The dangers are increased for motorcyclists, so give them extra space in case they are having trouble. Be aware of your surroundings and check your blind spots, especially before changing lanes. Highways are often loud with the sound of weather and other cars – just because you can’t hear a motorcyclist doesn’t mean he or she isn’t there. You might see motorcyclists swerving or weaving in their lane. This does not mean they are giving you room to ride beside them. Often they are adjusting for road debris or potholes. In a car you may not notice these small obstacles on a road, but for a motorcyclist they could cause a crash. Allow them to readjust without becoming impatient. If you or a loved one has been in a wreck involving a motorcycle, the attorneys at McWhirter, Bellinger & Associates, P.A., can get you the help you need. With over 40 years’ experience helping auto accident victims in South Carolina, you want us fighting for you. Call us today at 808-353-5513 for a free case evaluation. We have offices in Aiken, Camden, Columbia, Lexington, Newberry, Orangeburg, and Sumter, South Carolina.